Liam Lynch is an entrepreneur and venture capital investor focused on growth companies that have a positive impact on peoples’ lives. He has managed, acquired, started, or invested in dozens of private companies and mentored countless others. 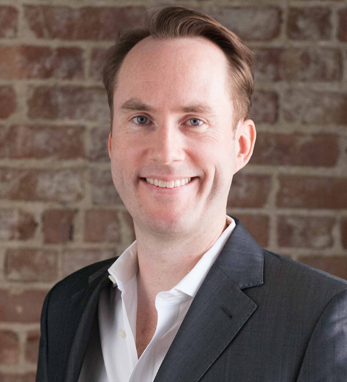 He is the founder and managing partner of Studio.VC, which invests in early stage companies, primarily focused on media and entertainment, internet, health, transportation, fintech, and AI. Previously, as an executive of Key Brand Entertainment, Liam is credited as the driving force behind their acquisition and growth of Broadway.com. He holds an M.B.A. from Middlebury Institute of International Studies at Monterey and a B.A. from Rhodes College with additional studies at Oxford. Liam is a New Jersey-born Irish American with connections to Cork and Belfast. His father worked for the Lawyers Alliance for Justice in Ireland, leading to Liam’s interest in Ireland from a young age, he says. Today, Liam serves on the Board of Co-operation Ireland and is the chairman of IrishCentral.com, which he recently acquired with a group of strategic investors after having been an avid site reader himself. Liam lives in Manhattan with his wife, Kristine Covillo, a Broadway performer and choreographer.